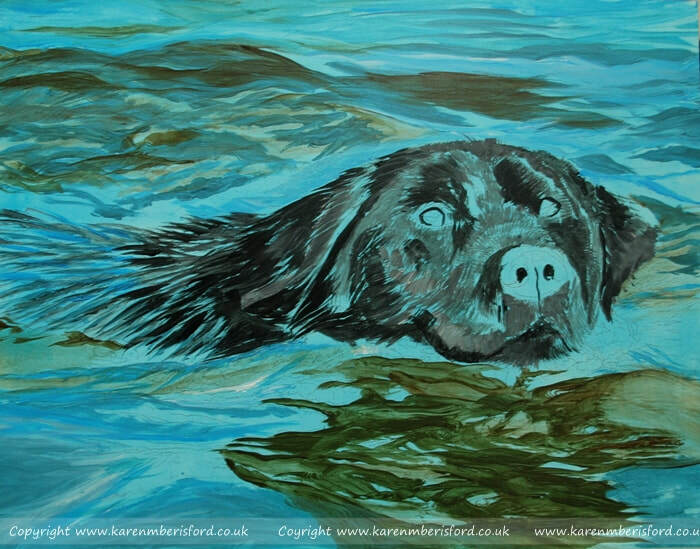 This is our beautiful Black Labrador Haze, swimming in the lake at the QE2 park at Woodhorn in Northumberland. 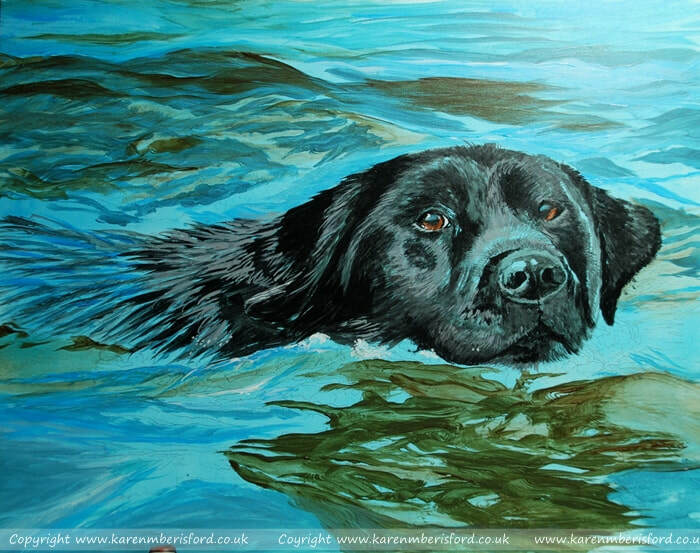 The photograph was taken on a sunny Sunday afternoon and is part of a quad of Acrylic portraits of our doggies swimming. You can see our CASPER, PIP & STORM too which are part of a quad of portraits which will be hung together. Black animals can be very difficult to capture with a camera as, in the wrong light, details can be lost in shadow and other areas can be over exposed. Although this image is a little bright, the beauty of Art is being able to adapt wherever needed and the final Artwork will offer a nice balance of tones. The background will be finalised with texture and appear softer than the first base layers currently seen here.